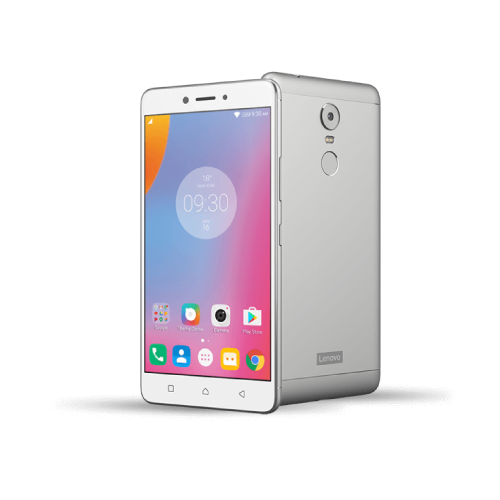 Though a budget device, the Lenovo K6 is a smartphone known for having a fingerprint scanner. Very few devices take security to the such a level at this price range. The device is also well designed appears to be a much more expensive flagship gadget. Everything is composed on a thickness of 8.2 mm which also gives it a sleek appearance. It is easy to carry around weighing just 140 grams. It has a display of 5.0 inch that rests perfectly on the hands. The resolution is up to par with 1080 x 1920 pixels. It is an IPS LCD capatacitve touchscreen that is much responsive. Soft touches is all that one needs to to navigate about the device. Brightness can be customized to ones preference and color accuracy is just perfect. The device runs on Android 6.0. It has an octa core Snapdragon 430 clocked at 1.4 GHz. GPU Adreno 505 handles the graphics very well. Gaming on the phone gives you a good experience and one can run multiple apps without any lags. Everything happens to tun smoothly on the device. Lenovo K6 comes in two variants considering its storage capacities. The lowest type has a total of 16 GB where the other one has 32 GB . The storage is enough to install many apps and keep large file. One can boost up the storage with a microSD that is limited to 256GB. Lenovo K6 has 2 GB of RAM. The cameras on the device are much advanced, having 13 MP on back and 8 MP selfie shooter. The rear camera has a LED flash and is loaded with many modes such as geo-tagging, touch to focus and many more. Images takes by of the cameras are very clear and nice and less grainy. Lenovo K6 is powered by a 3000 mAh Li-Ion battery. The battery is firmly attached to the device and not easily removable. This battery is sufficient to keep you going throughout the day when fully charged. Lenovo K6 can be found on Silver, Gold and Dark Grey Colors.